WINONA, MINN., USA – PlastiComp, Inc., a global leader in long fiber thermoplastic (LFT) materials and technologies, has developed an innovative set of hybrid thermoplastic composites that combine long glass fiber and long carbon fiber reinforcement together in a single, ready-to-mold composite pellet. The new products expand the performance range of long fiber material options available to product designers while offering a cost effective avenue to adopt the high performance capabilities of carbon fiber. A nylon 6/6 hybrid 40% long glass+carbon fiber reinforced composite with 20% carbon fiber and 20% glass fiber has a tensile strength of 41,200 psi (284 MPa), which is 96% that of an equivalently loaded long carbon fiber material and 24% higher than a similar long glass fiber material. It possesses a flexural modulus of 2,600 ksi (17,931 MPa), which is 87% that of carbon and 86% higher than glass. The inclusion of long glass fiber allows the material to retain 78% of the un-notched impact capability of glass at 18.8 ft-lb/in (1,004 J/m), which is a 25% improvement over carbon alone. PlastiComp can customize the percentage combinations of glass and carbon fiber in these hybrid LFT materials to tailor performance and cost to meet individual application specifications across any market segment. They are especially advantageous to consumer and sporting goods products where the inclusion of carbon fiber allows them to be marketed as utilizing high performance composites and obtain a price premium. The cost/benefit ratio of these composites should be attractive to the automotive and transportation industries that are aggressively trying to reduce weight for improved fuel economy and lower emissions. They are strong contenders for under-the-hood components that require elevated temperature and load bearing capabilities. 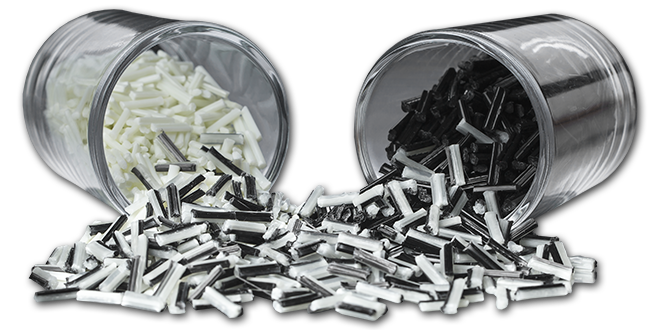 PlastiComp manufactures its LFT Complēt® composite pellets using an optimized pultrusion process that maximizes resin and fiber bonding to obtain the highest possible mechanical properties. Hybrid long glass+carbon and other LFT composites from PlastiComp are made-to-order in polymers from polypropylene to PEEK. 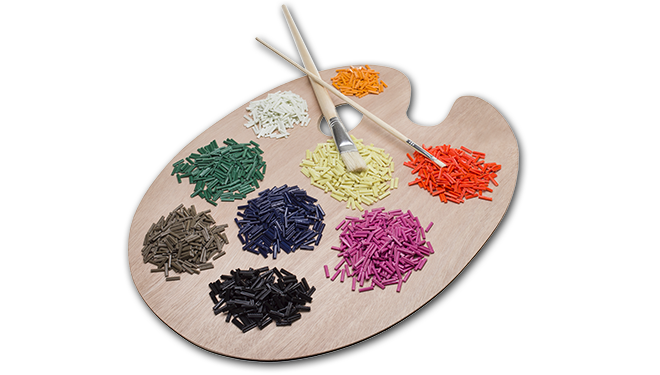 As a vertical, full-service long fiber compounder, PlastiComp can provide design and analysis services when converting applications to new materials as well as partnering with OEMs on new product development programs to customize LFT materials and processes to meet specific performance criteria.